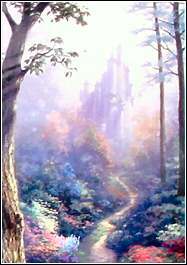 I am a collector who specializes in Thomas Kinkade paintings. 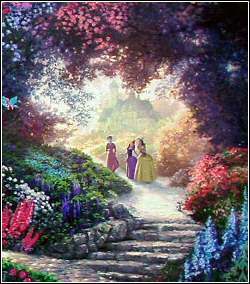 Thomas Kinkade is the only living artist who has sold more paintings than Vincent Van Gogh, Monet, Picasso, Gaugin, and Leonardo Da Vinci combined. You too can own a hand signed piece of this legendary artist. In acquiring my collection, I sometimes purchased out whole collections that overlapped into duplicates. 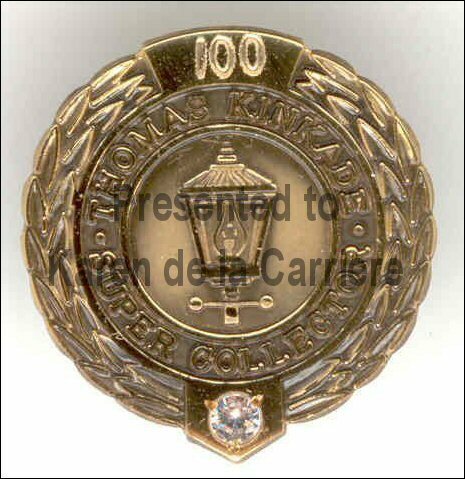 This started my adventure of selling Thomas Kinkades on the secondary market. Romeo and Juliet. Anthony and Cleopatra. History is filled with couples bound together forever in the social mind because of their undeniable and storied relationships. As it was with these others... so it is with Rhett and Scarlett. 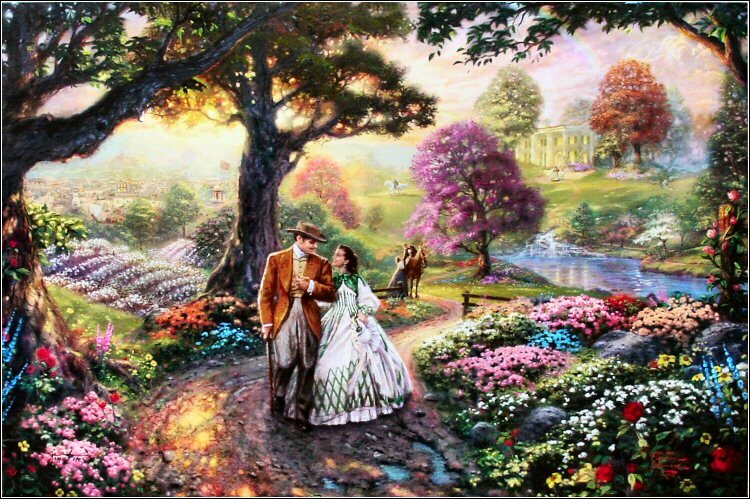 Indeed, to me, there has been no greater romance ever chronicled than that of the dashing hero and strong-willed heroine of Gone With The Wind. Perhaps it is the tragic backdrop of the Civil War that serves to enhance the emotional impact of this storied love affair. The ultimate triumph of the human spirit, so well displayed in the film's masterful conclusion kindles the romantic within me...as it can within you." 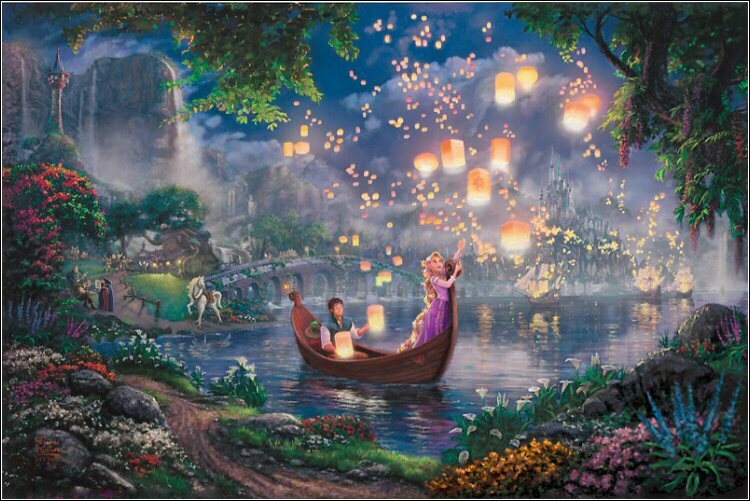 Sixth release in the Disney Dreams Collection is expected to be the most popular and demanded Thomas Kinkade Disney release ever! 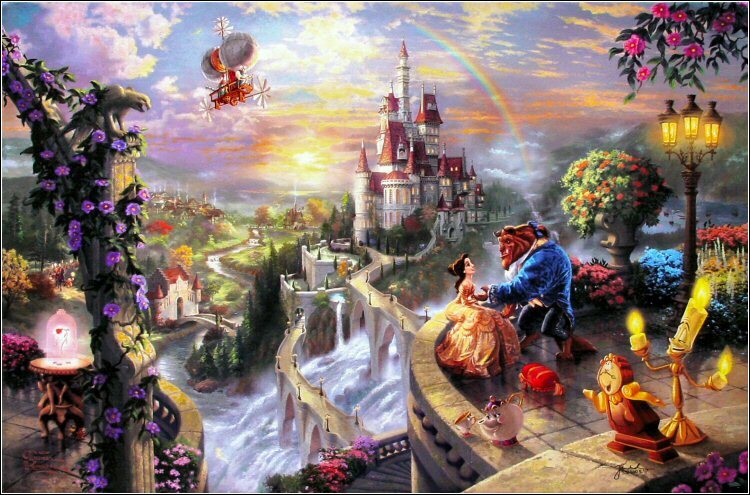 Thomas Kinkade has spent over 700 studio hours on this painting which is the most he has ever spent on any painting. 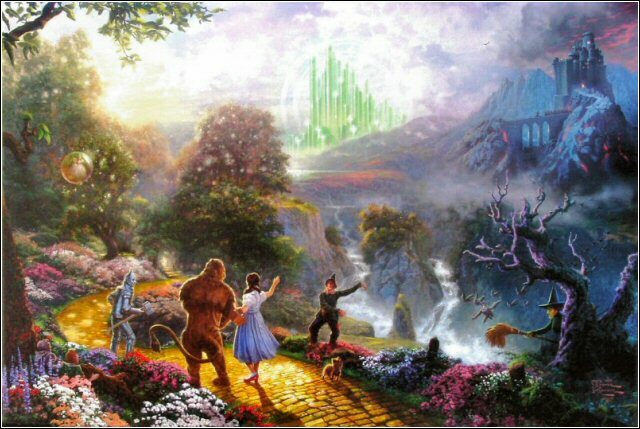 In June of 2008 The Wizard of Oz was ranked #1 on the American Film Institute's list of the 10 greatest films in the Fantasy genre. 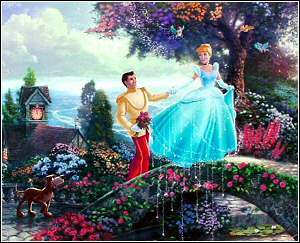 A recent study claimed that this is the most watched movie in film history, largely due to the number of television screenings each year as well as video which has enabled children of every generation to see it. Click Here to Sign up for my News Letter! 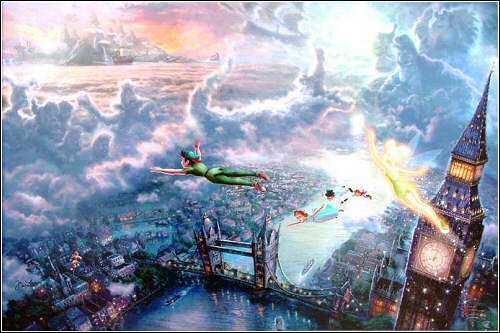 "Tinker Bell and Peter Pan Fly to Neverland"
the third painting in his new "Timeless Disney Dreams" series. As the third piece in my Disney Dreams Collection, Tinker Bell and Peter Pan Fly to Neverland promises to be my most exciting work yet! The Peter Pan story presents the wondrous fantasies of youth: secret island hideaways, visions of mermaids and pirates, and the irresistible urge to fly high above the world. 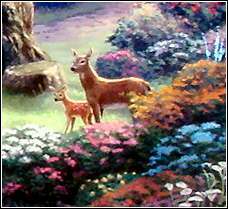 I am powerfully aware of the tug of youthful dreams – might even say that as an artist I strive to stay constantly connected with the wide-eyed wonder of childhood. # Thom has placed a total of 25 N’s in Tinker Bell and Peter Pan Fly to Neverland as tribute to his love for his wife Nanette, as well as in celebration for his 25 years as a published artist. # The clock tells the time of 8:02 — in the movie when Peter and the Darlings land on Big Ben, it is 8:04 — but Thom took artistic liberty and changed it in celebration of the year he and Nanette married: 1982. # Thom has incorporated many hidden Mickeys in Tinker Bell and Peter Pan Fly to Neverland, including a Mickey balloon seller in the city. Can you find them all? # Take a look at the upper left of Tinker Bell and Peter Pan Fly to Neverland and you will see Neverland, complete with an Indian encampment, Captain Hook’s pirate ship, the Mermaid lagoon and more! 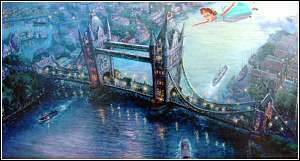 # Remember in the story that as the children return to London they look back to find the sailing ship “disappearing” in the clouds? What and who else are hiding in the clouds in Tinker Bell and Peter Pan Fly to Neverland? Can you find Captain Hook, Smee, and the Lost Boys? Do you hear the Crocodile ticking? 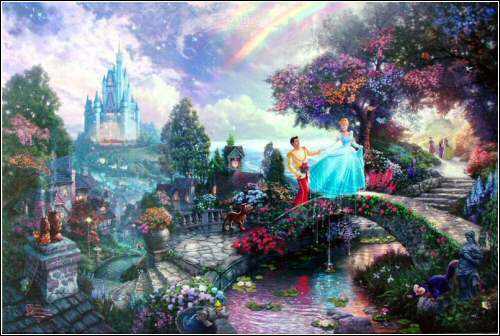 # There’s also a tribute to the two previous Disney Dreams Collection “stars”! 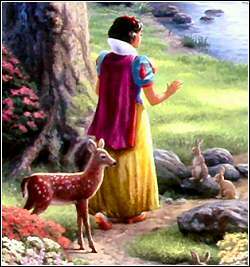 Can you find Snow White and Pinocchio? 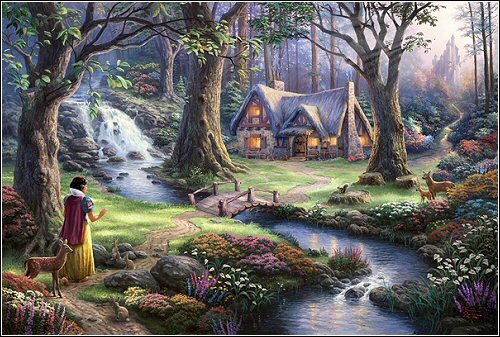 "Snow White Discovers the Cottage"
The first painting in his new "Timeless Disney Dreams" series. 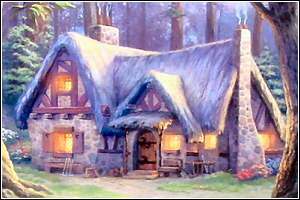 Thomas Kinkade has hidden a total of seven N's on "Snow White Discovers the Cottage", as a tribute to his wife Nanette. And, to honor this new collection of Disney favorites, there are also seven Mickey silhouettes hidden in the image --One for each Dwarf. 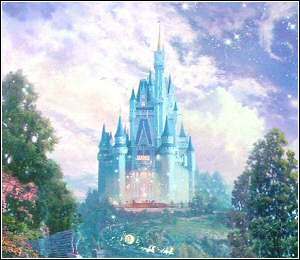 "Cinderella Wishes Upon A Dream"
The fourth painting in the "Timeless Disney Dreams" series. Would you like to share my passion for all things TITANIC? Would you like to share my passion for birds? 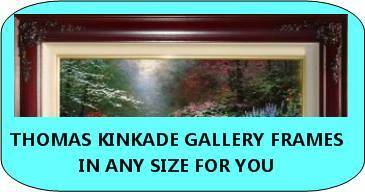 Do you have questions about Thomas Kinkade Artwork? 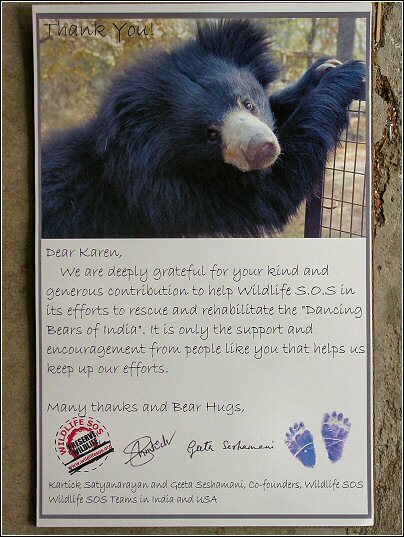 I invite you to watch a short movie on the Dancing Bears of India. This is something I feel passionate about and am supporting with $$$$. 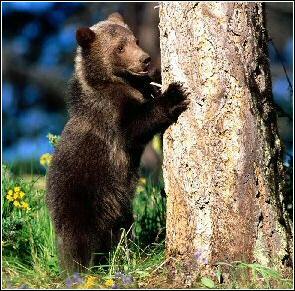 All my Kinkade clients have contributed to saving a Bear cub and its life of brutality. Carbon dioxide and other gases warm the surface of the planet naturally by trapping solar heat in the atmosphere. This is a good thing because it keeps our planet habitable. HOWEVER, by burning fossil fuels such as coal, gas and oil and clearing forests we have dramatically increased the amount of carbon dioxide in the Earth’s atmosphere and TEMPERATURES ARE RISING! I strongly recommend you see the movie "An Inconvenient Truth"
Few people are more dedicated or effective at improving the environment than Dr. Jane Goodall. Her pioneering work to study and protect chimpanzees is legendary, and perhaps her greatest role is that of an inspirational hero to others. Dr. Goodall has the unique ability to motivate and encourage others who in turn inspire her. 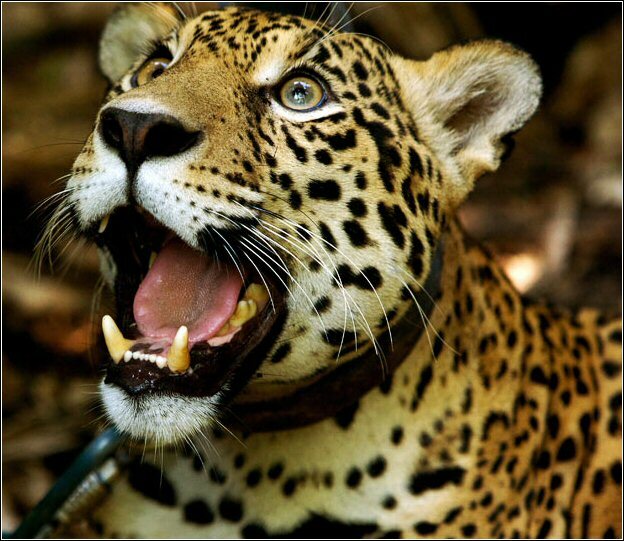 In many ways Jaguars are the most complete of all cats. It’s kinda sad that their numbers are shrinking in the wild over time. The Comunidad Inti Wara Yassi (CIWY) is a unique animal rescue centre where locals and volunteers help to rehabilitate animals, such as the puma through direct contact. United Hope for Animals is a non-profit organization committed to ending the suffering and mistreatment of dogs and cats in Tijuana and Southern California. Through us, these animals benefit from spay and neuter services in areas where families cannot afford them; rescue, adoption and foster care where- and whenever possible; and additional support and education for those who will care for them. It begins as a view of the Milky Way Galaxy viewed from a distance of 10 million light years and then Zooms in towards Earth in powers of ten. 10 million, to one million, to 100,000 light years and then it Finally reaches a large Oak tree. Once you click on the site, the software does all the work. Sit back and imagine how complex our Universe is! You can play it forward and backward to Be amazed over and over. At the end it says AUTO....click on that and review the process in reverse! WONDERFUL FOR ALL TRUE AMERICANS!!!!!!!!!!!!!!!!!! Aladdin Casino Incident of Linda Rondstadt You may recall, the Aladdin Casino in Las Vegas "threw out" Linda Ronstadt for her anti American stance while performing. This caused Michael Moore to send a strong letter of complaint to the President of the Aladdin. Here is his letter, and the reply from Mr. Timmins. A Pakistan newspaper recently published an offer of a reward to anyone who killed an American, any American. So I just thought I would write to let them know what an American is, so they would know when they found one. GOOD LUCK TO ALL THE SOLDIERS, SAILORS, MARINES, AIRMEN, AND NAVY PILOTS IN THE DAYS AHEAD AS YOU DEAL WITH THOSE RESPONSIBLE FOR THE ATTACK ON OUR GREAT NATION AND THOSE WHO ATTEMPT TO HIDE THESE COWARDS FROM THE LIGHT OF JUSTICE! ever read regarding the United States. Click the button below to send them a note to check it out! I would like to recommend that you upgrade your browser to the new AOL 4.browser, or Microsoft Internet Explorer browser, or Netscape 4.0 browser to enjoy the enhances capabilities of my site.